Pinterest, the hot new social bookmarking site that is not even a year old, has exploded in popularity with nearly 4.5 million users from all over the world to date. What is Pinterest and why is it so popular, you ask? As defined by the creators, a small startup from Palo Alto, California, “Pinterest lets you organize and share all the beautiful things you find on the web.” Think of it as having multiple bulletin boards on your wall at home; when you come across an image or article in a book or magazine, you can save it for future reference by pinning it on your board. Pinterest uses the same concept but virtually, with images and short descriptions and links back to the original source. Many people use Pinterest, from industry professionals to stay at home moms. Some use it to catalog inspiration and ideas, others use it identify trends and even promote their own products. Whatever the case, you begin by creating ‘boards’ based on the type of images or ‘pins’ that you’d like to populate it with. For example, you might want to have a board for DIY projects, a board for recipes, a board for decorating and so on. The next step is to find images to pin. You can do this by browsing what other users have pinned based on category, or by installing the Pin It button to your browser’s bookmark bar so that you can pin images while searching the web. You can also upload your own images. When you find other users who have similar tastes and interests, you can keep track of their pin discoveries by following their boards. – Be sure to leave a description of the image that you’re pinning for both your own reference and for others who might repin it. This will also make it easier for other users to find your pins when searching by keyword on Pinterest. You should also categorize your boards based on subject matter (you will be prompted to do this when you click on your individual boards) for the same reason. – Don’t be afraid to pin images of your own work! If you’re an artist, photographer, designer etc. and want to share a project that you are particularly proud of, go for it, just don’t over-promote. This is especially useful when you pin images directly from your website or blog – that way there is more of a chance that other users will follow the link back to your site. -If you have friends that use Pinterest and want to make sure that they see an image that you pinned, you can tag them in the description using ‘@’ followed by their user name (just like on Facebook and Twitter). – If you are tagging a picture of something that is for sale in an online store, you can add a price banner to the image by simply typing $ followed by the amount (ex. $10). This is very helpful for the many people that find items on Pinterest that they would like to purchase. Currently, Pinterest is by invitation only, similar to Google+ earlier last year. When we signed up a few months ago by requesting an invitation, we didn’t have to wait very long before we received it. Once you have received your invitation, you are able to login using your Facebook or Twitter account, which is nice and convenient. 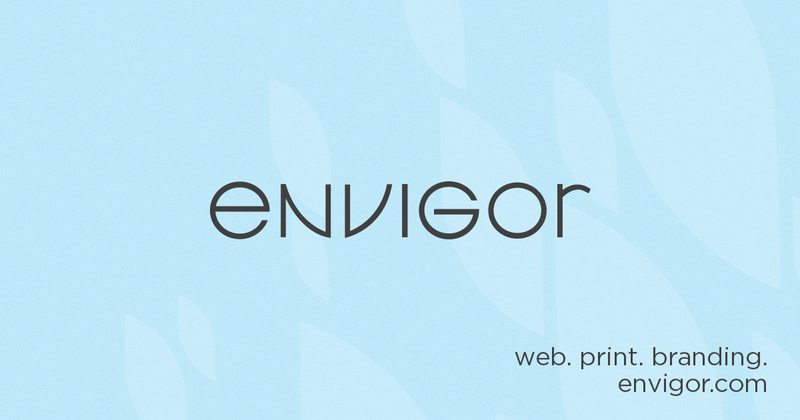 If you are already on Pinterest, you can follow Envigor’s discoveries here.